Best Pizza in Grandview, Ohio! Our family, proudly serving yours since 1997! 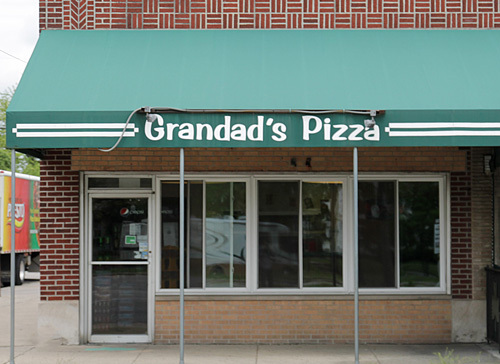 Grandad’s Pizza is a family owned and operated pizzeria located in Grandview, Ohio. We offer mouthwatering pizzas, subs, sandwiches and more at affordable prices. Grandad’s is pleased to offer discounts to businesses with advance ordering and offer daily lunch specials. 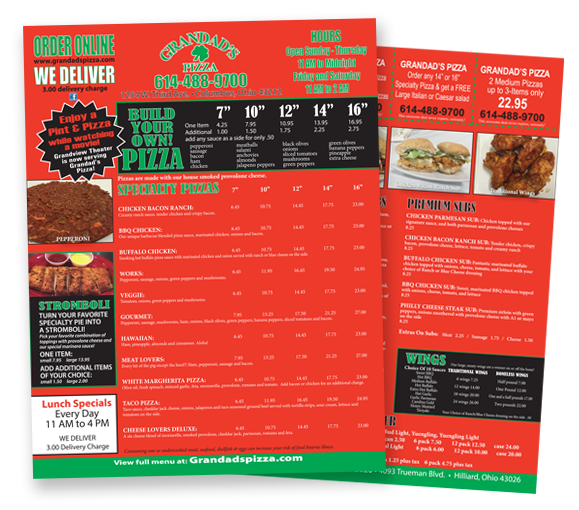 At Grandad’s Pizza, we value our customers and want to provide the ultimate pizza experience. Our dough, made fresh daily, is topped with our special recipe sauce, premium shredded cheese, a selection of fresh produce, and lean meat toppings. Please see our coupon page for additional value! Grandad's Pizza is the best pizza I have ever had . . . and I've had 'em all. It's a mom and pop shop and every experience I've had, in addition to everything I've had on the menu, has been great. Highly recommend. So delicious... honestly really yummy. We use to always get Donatos and looked around for a decent replacement that wasn't so insanely expensive. Grandad's far exceeded our expectations on taste and is a little more reasonable! And usually pretty fast delivery! Awesome place. Food is great. Can't go wrong with anything but the Ham Bacon Pineapple is crucial!! !